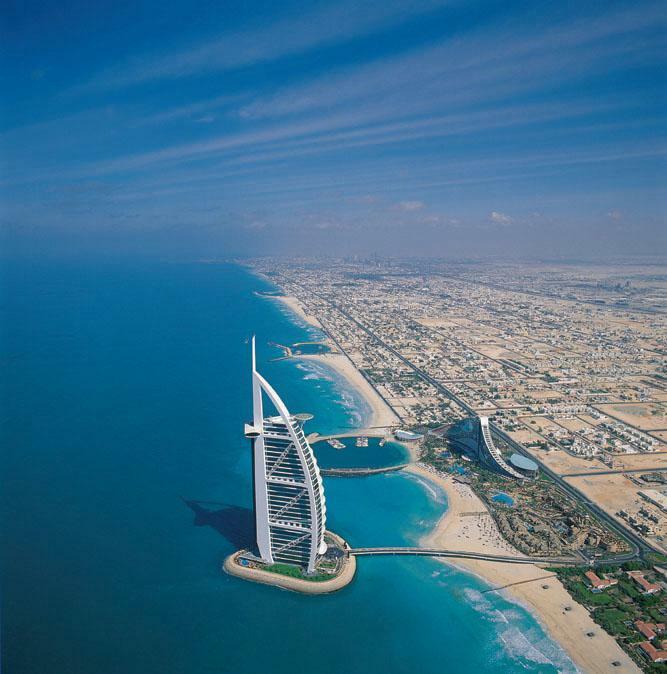 Burj Al Arab is a landmark that occupies pride of place in the Arab world. The seven-star hotel is an architectural wonder and an engineering icon with 8,000 sq metres of 22-carat gold leaf. It has played host to sports champs like Tiger Woods, Andre Agassi and Roger Federer, as well as Hollywood celebrities such as Tom Cruise, Angelina Jolie, Brad Pitt. From the perspectives of Chinese feng shui masters, Burj is an achievement in its own right. Ever wondered why the hotel has consistently full occupancy rates despite charging a minimum of US$2,000 a night? 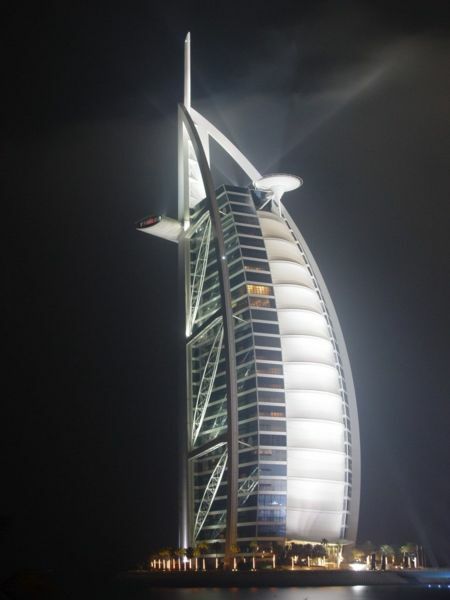 Built on a man-made island in Dubai, Burj Al Arab is the tallest and most luxurious hotel in the world. Dubai is a desert with flat landscapes and very little land contours. As such, the “Flat Land Dragon” technique is used to access the feng shui of the place. According to FengSui expert, Joey Yap, a protrusion is worth its millions in gold in a flatland. Classical Feng Shui principles dictates that in a completely flat landscape (yang), the tallest structure (mountain – yin) in the area will attract all the flow of qi. However, of equal importance is to lock the qi in place so that it does not escape. In feng shui terms, Burj Al Arab undoubtedly attracts the qi that flows in the vast desert land. Moreover, the Palm Beach Resort (a wavy and stumpy protrusion) on the left traps the qi from escaping. The Wild Wadi water park in front of the Burj also plays its part to lock in the flow of vibrant energy. The meandering road that links the Burj to the mainland is curved at the right angle to prevent bad energy (sha qi) from flowing in. But some feng shui masters claim that the back of the Burj is not protected and there is a lack of a solid structure at the back to block off the negative energy from the sea. Are you convinced by this feng shui analysis of the Burj? Has the Burj been designed according to feng shui principles and wisdom? The Burj al-Arab (Arabic: “Tower of the Arabs”) is a luxury hotel in Dubai, the second largest city of the United Arab Emirates, and was briefly marketed as “the world’s first seven-star hotel”. It was designed by Tom Wright of WS Atkins PLC. At 321 m (1053 feet), it is the tallest building used exclusively as a hotel. It stands on an artificial island 280 m (919 feet) out from Jumeirah beach, and is connected to the mainland by a private curving bridge. It is an iconic structure, designed to symbolize Dubai’s urban transformation. This entry was posted on Monday, January 29th, 2007 at 9:05 am	and is filed under Interesting Stuff. You can leave a response, or trackback from your own site.